Orlando Sanford International Airport SFB. Disney’s Magical Express ONLY services guests flying into Orlando International Airport MCO.? If you fly into Sanford, you will have to make your own transportation arrangements. What is Disney?s Magical Express? Disney’s Magical Express is a complimentary motor coach transportation and luggage service for all guests staying at Disney owned resorts.? Yep, complimentary! 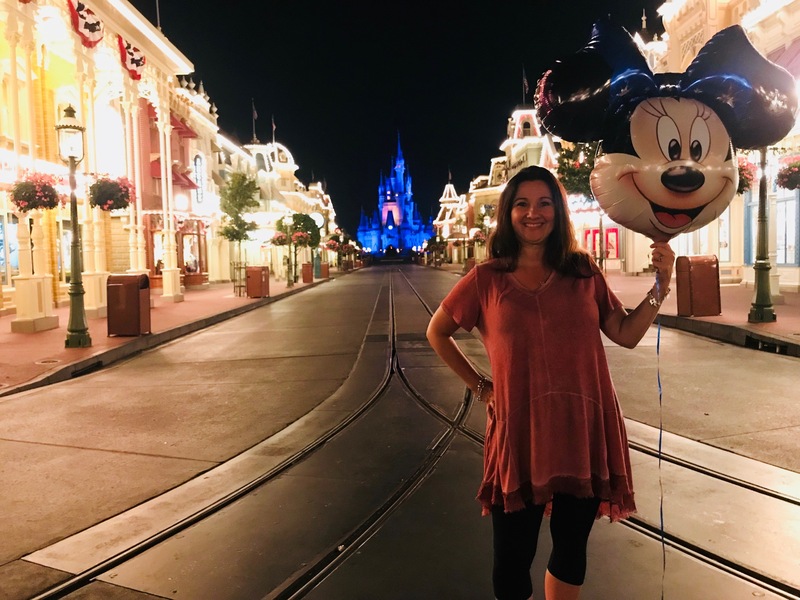 You can use Disney’s Magical Express even if you have a room only package! When you make your Disney Resort reservation you have the option to select Disney’s Magical Express.? Enter your flight information to set it up. 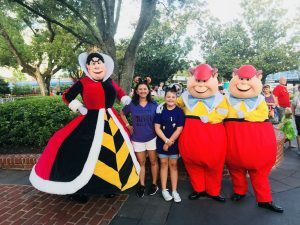 If you don’t have your flight information at the time you book your vacation, visit www.disneymagicalexpress.com?or call 866-599-0951, at least 10 days prior to your vacation to set up your Magical Express reservation.? When you use a travel agent the agent will take care of setting up Magical Express. To have Disney retrieve your luggage, attach your yellow bag tags to your bags prior to checking them in your home town. You must be arriving between 5 am and 10 pm to use the luggage delivery service. Arriving outside these hours? Don’t worry! 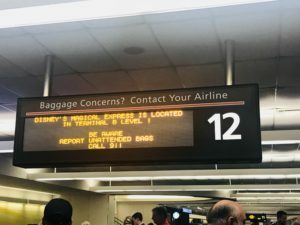 You can still use the transportation service, you will just need to claim your bags at baggage claim prior to checking into Disney’s Magical Express. It may take Disney’s Magical Express luggage service up to 4 hours to deliver your bags to your room. Upon arrival to Orlando take the train to the Main Terminal. You will arrive on Level 3. The Main Terminal has two sides, A and B. You can see large signs showing each side. Disney’s Magical Express is located on Level 1 on the B side of the terminal. Follow the signs.? If you arrive between the hours of 5 am and 10 pm you can go directly to Disney’s Magical Express.? Disney will retrieve your bags and take them to your room. Arriving outside the hours of 5 am and 10 pm?? Don’t worry! ?Retrieve your bags from the appropriate baggage carousel before checking into Disney’s Magical Express. Disney’s Magical Express is NOT accessible from the A side of the terminal. Don’ have yellow bag tags or you forgot to attach them to your bags prior to checking them in your hometown? Disney’s Magical Express can pick up your bags up with your baggage claim number.? Simply provide the number when you check in for the transportation service. You will need your Magicband or package confirmation number to board your motorcoach. After checking in you will be directed to the appropriate line to board the motorcoach to your selected resort. Be prepared to wait up to 30 minutes for your motorcoach to depart the airport. It is 30-40 minutes to Disney World property. The travel time is between 45 and 75 minutes to reach your resort. The motorcoach will make multiple stops at different Disney resorts. Add all of those times together and you could easily spend up to 2 hours or slightly more traveling from the airport to your resort.? Plan your dining times or other activities accordingly! If you brought your luggage with you on Disney’s Magical Express the driver will have stored it under the bus in the storage area.? Upon arriving to your resort it will be retrieved for you.? It is customary to tip the driver $1 or so per bag handled. Bags will be collected at the airport and transported separately from you to your Disney Resort room. It may take up to 4 hours for your bags to arrive to your room.? Plan accordingly. See above for suggested items to pack in your carry on. Magical Express pick up time and location will be provided the day before your departure date. Pick up time will be approximately 3 – 4 hours prior to departure for domestic flights. You must take Magical Express from the resort you are staying at.? You can NOT be picked up at a different resort. If you miss your assigned bus you may not be able to get on another bus and will be responsible to get yourself to the airport. If you are traveling on one of the following airlines you can pre-check your luggage at your resort.?? If you are flying on any other airline or are flying Internationally you will take your bags on board Disney’s Magical Express and check them in yourself at the airport.? Don’t forget to tip for bags! Carseats are not allowed on Disney’s Magical Express. They will be stored under the bus with the luggage. You CAN take Disney’s Magical Express one direction or both directions, your choice. Disney’s Magical Express only picks up at Orlando International Airport. ?If you fly into Stanford Airport you will need to make other transportation arrangements. Magical Express does NOT transport guests to Shades of Green, The Swan & Dolphin Hotel or any of the Good Neighbor Hotel locations. Magical Express will NOT transport just your luggage. ?You must board the Magical Express to get your bags delivered to your room. You can have your bags retrieved from baggage claim by Disney’s Magical Express if you are arriving on any domestic airline.?? If you are arriving from another country you will need to retrieve your own bags from the baggage claim carousel, level 2,? and take them with you to Disney’s Magical Express located on side B, Level 1. 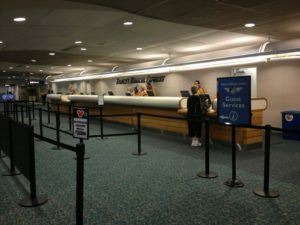 If your check out time is prior to your Magical Express departure time and you are not flying one of the pre-check airlines, you can have your bags stored at the resort.? Make sure to give yourself time to have them retrieved before the Magical Express departure time. To be picked up 3-4 hours prior to your departure flight. ?This can not be adjusted.